New Deacon Prof Gordon Masterton OBE at September AGM[/caption]At the Incorporation’s Annual General Meeting held on the morning of 21 September 2018, Professor Gordon Masterton, OBE was installed as Deacon for 2018-19. 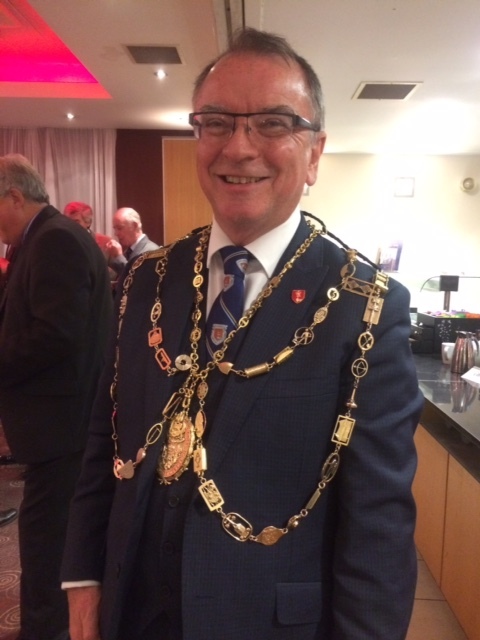 His first official duty, after the Collector’s Breakfast, was to represent the Craft at the Annual Dinner of the Incorporation of Masons that same evening. His wife Lynda accompanied him. 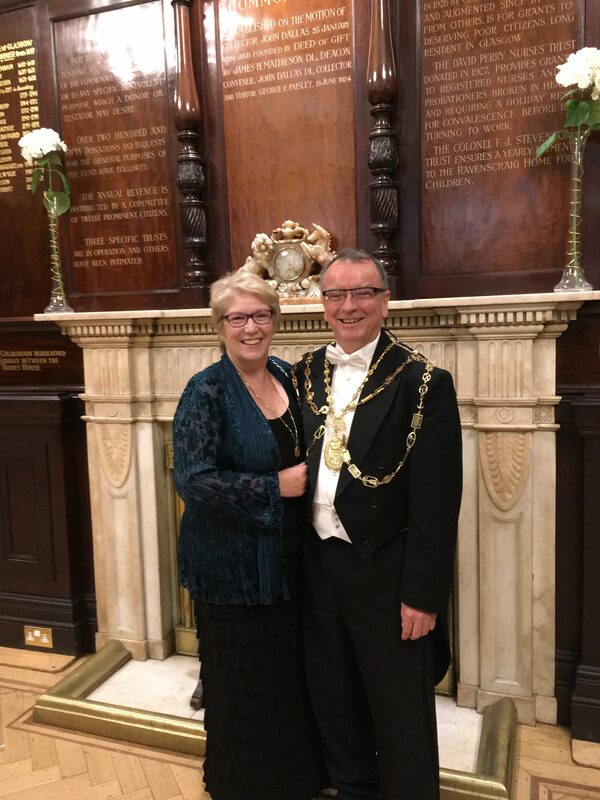 Deacon Professor Gordon Masterton and his wife Lynda representing the Craft before the dinner of the Incorporation of Masons. 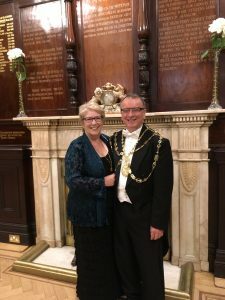 Trades Hall, 21 September 2018 – first day in office.